Whatever the size of your business we’ve got the storage solution to all your business needs at the very lowest price! From stock storage for online businesses, to tools that needs to be kept safe, we can cater for all your needs. Our storage rooms are accessible 24 hours a day, seven days a week, 365 days a year – meaning your items are never out of reach. So, if you need to pop in to collect some goods or drop a few extra things off, you can do this any time, with no need to tell us you’re doing so! Our reception is also attended seven days a week. We’re around to help should you have any queries, or if you need to speak to someone about arranging more or less storage. As there is someone at our reception every day, we’re on hand to accept deliveries for you, or for you to leave any parcels for pre-booked collections, making pick-ups, returns and deliveries hassle-free. Did you know we offer FREE Van Hire to all our Stor More customers? Our new Ford Transit long-wheel based van is available unlimited and seven days a week! We’re aware of how quickly circumstances can change and so can your storage needs. Many businesses, including solicitors, nurseries and dentists, store their legal archiving in our secure, dry rooms to ensure they have maximum space on-site to conduct their day-to-day business. This archiving can soon grow, so pay for only the space you require and if you need to, you can move to a larger or smaller room whenever you like – we don’t ask you to take out a contract, so you’re free to chop and change as often as your needs do. Start by using our space estimator to give you an idea of what you might need to get you going. Here at Stor More, we have 24-hour CCTV across our site, in addition to individual alarmed and monitored storage rooms and pin coded entry – giving you peace of mind that your items are in good hands. If you work in the building industry and don’t fancy keeping your tools or excess stock in your van or at home overnight (making them an easier target for thieves) why not consider one of our smaller units to store them in? Your storage room is yours to do with it what you wish – whether you’re a small, independent business or a stock supplier to a larger company, we understand that you want to keep your stock in order and organised, so you’re welcome to put up freestanding wracking in your unit. We also have a Box Shop where you can purchase (yes, you guessed it) boxes to make the most of your storage space. If you need to store materials in a dry and secure environment, it’s not always ideal to travel around with a pallet truck on board – don’t worry, we’ve got a pallet truck on hand to move pallets or other large items around the storage units and out to your vehicle (or our van). If you’ve got a few bulkier items to put in storage like some of our other business customers, such as furniture companies, hotels or pubs undergoing renovating projects, be assured that our corridors are wide enough to manoeuvre pallets and most furniture around. We are very proud to be the only state-of-the art storage facility in Hull and we’re easy to get to. You’ll find us just off the A164, near Willerby – perfectly located to all major road networks. At Stor More, we offer 50% off your storage for up to four weeks. Whether it’s short or long-term self-storage you need, our two state-of-the art storage facilities in Hull and Beverley offer convenient and safe solutions tailored to your individual needs. A family run, SSA approved business, we will match any cheaper quote and we’re offering your first four weeks storage half-price. Pop in to have a look around, drop us an email or give us a call. This great weather is helping to keep us motivated. The long sunny days are giving us more time to crack on with those jobs we tend to avoid in the winter. With summer upon us it’s the time of year many of us plan our next house move, university move or conduct a much-needed de-clutter. Have you ever started any of these jobs and suddenly realised that you could really do with a van or you’ve forgotten to budget for or book your van hire? We’re excited to announce that we’ve now got this covered after we recently purchased a new Ford Transit long-wheel based van. The van is available for FREE, unlimited, seven days a week for all Stor More customers. So, you won’t ever have to worry about that last-minute scrambling for cash or making endless trips in your car. We’re not just making our new wheels available for you to move your items in and out of storage either, you’re welcome to use it for other occasion too, whether you just need to take a load to the skip, bring your new washing machine home or help a friend move house – it’s free van hire in Hull, exclusively for our valued customers. Couple up your storage solutions with your summer chores, house and garden projects or lend a hand to loved ones by taking advantage of our FREE van hire. With current rates for van rental in Hull costing up to £100 for a full day (and even more overnight or on a weekend), it’s an opportunity not to be missed this summer. We’ve made storing your items simple and easy. With free 24-hour access, we’re unique in that every single room at Stor More is individually alarmed and can only be accessed by inputting your unique pin code. We also sell strong dedicated storage boxes so you can be even more organised. A family run, SSA approved business, we will match any cheaper quote and we’re offering your first eight weeks storage half-price. Pop in to have a look around, drop us an email or give us a call. Once your move is confirmed, dig out the black bin liners and start sorting for the tip – be ruthless! Set a date to do a car boot and set an evening aside to list any items on Gumtree you think you can get a little more money for. Consider ditching any clothes you haven’t worn in the last year and any items you haven’t used since the last move, you’ll be glad you did when there’s less to shift. If you know you’re moving a few weeks or months in advance, take note of the mail you’re receiving and ensure you inform everyone and everywhere of your new address. If you’re super organised, you might be confident you’ve remembered all those important places but if not, it’s worth signing up for a mail redirection service, just for peace of mind. Order your packing boxes, tape and bubble wrap in advance from our Box Shop. Try to be smart and generous when you’re estimating the amount you’ll need – no one wants to be scrabbling around for wrapping, newspapers and extra boxes at the supermarket on moving day. Pack up your rooms in order of least used to most used and label your boxes with room names and priorities – is it really essential to unpack your best glassware on moving day? Pack a separate bag with all the essentials, such as toiletries and a change of clothes and keep it handy during the move. Also, pop some key items into a separate box so you can access them as soon as you’ve got into the new place, such as toilet roll, cleaning items, snacks, tea, coffee, kettle, mug, phone chargers, etc. Whether you’ve got to move more than once or wait for other people in a chain, if you’re moving cities or just don’t have room in the new place for all your beloved items at once, don’t forget you can store your items with ease locally. At Stor More, we offer 50% off your personal storage for up to four weeks, which could be just the right time to help you get things sorted. We can also save you from making numerous trips in the car, squeezing everything in, with our new FREE van hire service. Most supermarkets allow you to place an order for delivery at least a week in advance. Think ahead and schedule a food shop to arrive on the day after moving day, when you’ll be a little more settled and probably in need of some good hearty grub – if you’ve found the pans by this point that is! As much as it can be an exciting time and potentially a milestone for your family, the novelty will soon rub off for the little ones. Arrange for them to stay with family or friends, likewise with any pets… it can be stressful for them settling into new surroundings, not to mention dangerous if they’re running about the place while you’re moving things plus, you don’t want them escaping through any open doors! No matter how many times you view a property before you move in, you’re probably not going to notice those tiny specs of dust left on the skirting boards or layers of grease on the kitchen cupboards. Take the time to give your new home a good old spring clean before piling everything in – this will most likely be the only time you’ll have the opportunity to clean the whole place without having to pull all of the furniture out. 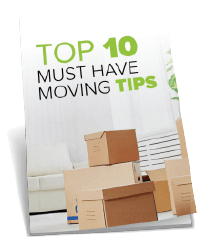 If you’ve prioritised your boxes, unpacking should be a breeze. Build your bed(s) and make them up as a matter of priority when you’re in the new pad – you won’t want to face that after a long moving day or following the inevitable takeaway at the end of the day, when you just want to flop! It may take you a day, a month or even six – but it’ll all get done eventually. Your health and wellbeing are important, so don’t let the move stress you out, give you anxiety or cause any arguments with your loved ones. Any move is a new chapter in your life, don’t let something (which may seem a big deal at the time) ruin the experience. If you find yourself needing storing, whether it’s short or long-term, our two state-of-the art storage facilities in Hull and Beverley offer convenient and safe solutions tailored to your individual needs. Summer holidays are great when you’re in full-time education. The weather is the best it’s going to be all year and there are no lectures, seminars, tests or exams – just weeks of sunshine (if you’re lucky), getting up late and going to bed even later. The only problem is… before you get to any of that, you have to pack up all your possessions and fit them all in a car to take them home, knowing they’re going to sit in your parents’ garage, unused until you pack them all up again to take back to your new accommodation in September. Although you’ll probably want to spend your spare time during those last couple of weeks seeing friends and getting your last fix of Hull’s famous chip spice before heading back home, try to set some time aside to prepare. It’ll make everything a lot quicker and easier when you’re loading up the car. Get your room nice and tidy, it’ll make it much easier to go through all of your stuff and see what you need. Start with the notepads you’ve amassed through the year and either file your notes or throw them out. Decide whether there are any textbooks you no longer need too – they were expensive and there’s a huge market for second hand ones, so you may as well get some of your money back. When it comes to clothes, firstly don’t take home a load of dirty laundry! Your family will want to see you when you get back home, not stinky socks and goodness knows what else. Then be honest, are there things you’re not going to wear again? If so, save time and car space by throwing or giving it away now. Any furniture and homewares, you’re probably going to want to keep, but if you can do without your bedside table or chest of drawers for a few days, get it emptied out now so you’re good to go on moving day. Rather than hauling everything home, consider packing things away in a storage unit, it might sound indulgent, but it’s probably a lot cheaper than you think and be the answer to making life a lot simpler in that final week. You can leave those things you know you won’t need over the summer (we won’t tell if that includes the books you’re meant to be reading!) and make it much easier when it’s time to come back. Our storage units come in a range of sizes, so it might not be as expensive as you think and you could even share one with a friend. With 50% off your storage for up to 4 weeks, our storage solutions are the perfect option for the summer holidays. Whether it’s short or long-term self-storage you need, our two state-of-the art storage facilities in Hull and Beverley offer convenient and safe solutions tailored to your individual needs. The Easter weekend is just around the corner and, along with eating more calories in chocolate than the recommended weekly allowance for an olympic athlete, many of us will be using the long weekend to finally get around to some long-postponed home renovation projects or forgotten DIY jobs. If you don’t want to spend the entire weekend stressed out and feeling like you haven’t achieved half as much as you wanted to, we suggest you get planning now. Get a list of jobs that need doing and look at which ones you think are achievable in the time and try to commit to a group of jobs with a similar theme – for example, if there are a few painting jobs that need doing, plan to do those, rather than a range of jobs across the house. Whatever project you’ve decided on, they all have a habit of breaking out of their assigned space and taking over the entire house. Before long you’ve got a dining table in the bedroom and your kettle is balanced on the side of the bath (not advised!). There are some practical tips you can follow to try to limit the fallout though. Start by having a good clear out before you even pick up a paint sample. There will be things hidden away in drawers that you completely forgot about. If you haven’t missed it, throw it out. Think about where the things you’re keeping will live while their usual home is out of bounds, don’t just put things in the first place you see. Once you’ve de-cluttered – consider putting as much as you can into storage – some things are essential, but you can probably cope without your rice cooker, sandwich toaster and food processor for a few weeks! Easter weekend has historically been the busiest weekend of the year at major DIY stores, so if you know what you’re going to be doing, get yourself a shopping list and go buy supplies during the week before to beat the rush. If you don’t have any big projects, it’s a great opportunity to do some spring cleaning, if you give everyone in the family a job to do, the house will be sparkling in no time. Lastly, don’t try to cram in so much that you forget to spend some time relaxing and enjoying the weekend with friends and family! With 50% off your storage for up to 8 weeks, putting your possessions in storage could be the perfect way to give yourself a bit of extra space whilst you’re getting on with your renovations. A family run, SSA approved business, we will match any cheaper quote and we’re offering your first eight weeks storage half-price. Pop in to have a look around, drop us an email at info@stormoreselfstorage.co.uk or give us a call on 01482 24 24 88. What to do if you’re house is fit to burst. This is the number one thing people say to us when they put their possessions into storage with us as they’re preparing to move house. They often tell us that they love their current home, it’s where they’ve made their memories, but they’ve just outgrown it. If you truly love your home though, moving for more space isn’t always necessary. If there are new family members to be accommodated it’s worth considering an extension or loft conversion. It’s a big undertaking, but when it’s all finished you get to keep your home and you get that much-needed extra space – everybody wins! It’s also likely to be a sound investment as it will add value to your home too. Alternatively, if it’s storage space that you’re short on, you can look to declutter and live a life of minimalist chic style – pick up a copy of queen of tidying, Marie Kondo’s ‘Sparks Joy’ and get rid of anything that doesn’t bring you immense happiness or have a practical use. It’s also a great opportunity to get more organised. Can you honestly say that the space you currently have is used in the most effective way? Take the time to go through your possessions, room-by-room and decide whether you really need it. Is it in the right place? Is it stored in the best way? For example, many of us hang t-shirts up in a wardrobe, but that takes up so much more space than neatly folded ones kept in drawers. Think about how you use your existing space too. There might be a space that was labelled ‘Dining Room’ on a floor plan when you bought your house that you only use at Christmas or a garage that you never put your car in. Could you turn one of them into a playroom or a utility room? Finally, you’ve identified the problem – you need more storage. Does that need to be in the building where you live? We all have possessions that we don’t use from one month to the next, but for reasons of practicality or sentimentality, we need to keep them either because they were expensive, have memories attached to them, or because we only use them at certain times of the year. Our adaptable storage options could be the perfect solution. With 50% off your storage for up to 8 weeks, you could find it’s the perfect option that allows you to stay in your home and costs much less than you might think. This year we’ve been making the most of Hull’s year as UK City of Culture. With all of the incredible installations, events and exhibitions that have been on offer you may have been inspired to flex your party hosting and decorating skills this Christmas to sprinkle some Hull 2017 glitter on the festivities. Whilst you may be planning a Christmas celebration with a bang, it’s also a time of year that is steeped in tradition and memories – both making new ones with family and friends and reminiscing about Christmases past. Despite the fact that most of us only have them on display for a few short weeks of the year, Christmas decorations can hold some of our most treasured memories, reminding us of our childhoods or when our own children were young. Many of us have decorations that have been passed on to us through the generations from our parents, grandparents, or even further back. The last thing we want is for delicate, precious decorations to get damaged or broken and the best way to avoid that fate is to take care when packing them away again. Storage boxes – This may be an obvious one, but good, sturdy boxes are your starting point. Make sure they’re a decent size so that you can fit everything in a couple of boxes, but not so big you can’t fit them through your loft hatch (we sell strong boxes, pop and see us if need any). Labels – A thorough list of contents for each box will make sure you can lay your hands on exactly what you’re looking for. Bubble wrap and tissue paper – Save these up through the year, or from the packing on your Christmas gifts, for wrapping individual baubles and decorations. Cardboard tubes – If you get anything packed in a cardboard tube (such as a bottle of whisky or poster), don’t throw it away, they’re perfect for putting wrapped up baubles in. Pack it tight – It may sound counter-intuitive, but you don’t want things to shift in your boxes and smash. Pack the boxes so items are snug so things can’t move too much. Zip-lock bags – You’ll never get strings of fairy lights back in their boxes, so don’t try. Carefully coil up each set and put it in its own zip-lock bag so you can see the contents. If you don’t have space in your loft, struggle to get them up and down on a ladder or could just use the space for more regular storage, consider putting your carefully packed boxes full of memories into one of our storage units. Safe and secure with no ladders to negotiate! With 50% off your storage for up to 8 weeks, you can be reassured that your Christmas memories are safe, without taking up much-needed space in your home. We’ve loved the latest series of Grand Designs, watching from the sofa as people turn their visions of home into architectural reality. The experimentation, determination and unrealistic scheduling. The inevitable budget-breaking and Kevin McCloud’s impeccable critique and challenge keep us coming back for more. But what we also saw, time and time again, is the desperate need for storage so many of these projects have. People cramped in tiny rented accommodation or leaky caravans, surrounded by stuff that they have nowhere else to store or need to have accessible. Biting budgets requiring the home owners to move in early, way beyond completion, packing crumpling cardboard boxes higher and higher to the ceiling. Every time we see this, we’re left knowing there is a better way, a smarter way. Stor More is naturally the ideal storage solution for those embarking on their own grand design. Getting your stuff out of the way somewhere clean, dry, secure and accessible makes life a whole lot easier. But it shouldn’t stop at a new build. Whether you’re renovating, in the process of moving or simply redecorating, putting your things out of the way so you can get on with your design makes life a whole lot simpler, for not a whole lot of money. With 50% off your storage for up to 8 weeks, you could have your house ship shape in no time while we take good care of your belongings. Spring is the perfect time to think about putting your house on the market. Gardens are in bloom, there’s plenty of good light and the good weather tends to encourage people to get out and about and in the mood to go house hunting. At this time of year properties look their best and the market is full with buyers, with many families looking to match their purchase with the end of the school year. Most buyers make a decision within seconds of walking through the door. So don’t underestimate the importance of first impressions. Give you house some curb appeal to help create an impact. Does your door, gate or fence need a lick of paint? What about investing in a new house number and a nice clean door mat? Make sure your entrance is clear of clutter and debris. Bay trees, window boxes and pots of seasonal flowers will help create a wow factor and make your house stand out from the neighbours – not to be viewed as a waste of money as you can take them with you when you move. 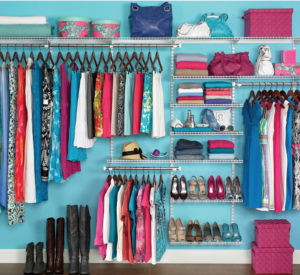 Elimate that clutter! Clutter-free homes generally sell quicker and for a higher price than those full of family junk and memorabilia. Look at your house and each room through a fresh pair of eyes. Declutter noticeboards, file that pile of bills and put shoes and coats away. Get the kids involved to sort out their old toys to donate, recycle or sell – you’ll need to do this before you move anyway. If you just don’t have the space to store everything and you don’t want to get rid, our short-term storage solutions mean that you can store everything until you’re ready to move into your new place. Broken handles, cat flap or chipped paint in the hallway? Take the time to repair things, you may have become blasé to the jobs that need doing around the house but you don’t want it to be the first thing that the buyer notices. Cleanliness and tidiness should never be underestimated when you’re trying to sell your home. Make sure that before having your photos taken and before every viewing, each room has been cleaned from top to bottom. Pay attention to your windows. Clean windows will make the house look light and airy and will show off other aspects of the house such as the garden. Remove mould and mildew from the bathrooms to really make them shine. This can make all the difference between potential buyers thinking the bathroom needs a lot of work, to them thinking they can move straight in! Fresh flowers, the dining table set ready for a meal to be enjoyed, coffee table books, nicely made beds – create a lifestyle that potential buyers will be drawn to. Little things really do make a difference. Showcase your home as a place people can imagine living. Create a lifestyle and define your rooms, make your dining room look like you actually eat dinner in there rather than using your table as a dumping ground. If you’ve got a spare room which you tend use as an office, put your computer away and make the bed (a few extra cushions and a neat bedspread always look good). If you’re planning on repainting a room or getting a new carpet to help sell your house, make sure it’s neautral. You may like colour but its not what you like that’s important. Think about how you can showcase the potential of the space and the blank canvas your house is providing. Lighting candles, adding fresh flowers or brewing a pot of coffee ahead of a viewing will add a nice aroma to your home and make it feel inviting. Got pets? Think about removing the dog or cat bed from the kitchen ahead of viewings. And get that candle lit! Think of your garden as an extension of the house, an additional room. For some buyers the garden may be the deal breaker. Again think about creating a lifestyle. Tidy away broken toys, cut the grass and weed the borders. If the weather allows, set your table for al fresco dining or buy new cushions for your garden furniture. Create the impression of luxurious outdoor living. Don’t forget to show off your tidy garage, shed or outhouse. Take the time to declutter this area of your home too. Show how much extra space these areas provide and make them look as spacious as possible. Move items that are taking up all the room into storage so you can show off the space. A potential buyer who is coming from a house without a drive or a garage will be excited about the prospect of having a garage to store their car, bike or tools. If you’ve taken the time to do all of the above, you should feel confident and proud to show off your house. Why not arrange viewings for when the children are at school so that you can professionally show off your house without the kids under your feet. In order to help you sell your house like a pro, we’re offering eight weeks half-price storage. So get decluttering and put the house on the market. We’ve made storing your items simple and easy. With 24-hour access, we’re unique in that every single room at Stor More is individually alarmed and can only be accessed by inputting your unique pin code. A family run, SSA approved business, we will not only match but better any comparable quote by 10%. To celebrate the start of spring we’re offering your first eight weeks storage half-price. Pop in to have a look around, drop us an email or give us a call.